Minneapolis: Mill City Press, 2015. As a professional investor for many years, I have often found myself in discussions about economics. To help friends or colleagues understand the basics of free markets and capitalism, I often recommend (and sometimes give away) two favorite works. 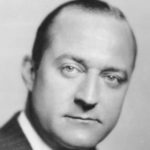 The first is Henry Hazlitt’s classic Economics in One Lesson, which eloquently explains the practical benefits of free markets. The second is a brief but moving validation of the morality of capitalism: Francisco D’Anconia’s famous “Money Speech” from Atlas Shrugged. But if my friends read both of these and want more, the next recommendation is more difficult. 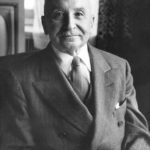 To study sound economic theory, I suggest Human Action by Ludwig Von Mises. For a full moral justification of capitalism, I tell them to read all of Atlas Shrugged. And, for a synthesis of both the moral and the practical arguments for capitalism, I recommend George Reisman’s magnum opus Capitalism. The problem is, these works comprise several thousand pages of dense, technical text. Who has time to read it all? We have needed something to bridge the chasm between the simple and the daunting, and I’m happy to report that Michael Dahlen has written just the book to fill this gap. In preview, Ending Big Government merits strong praise. Dahlen has written, in only 370 pages, an artfully organized case for free markets and capitalism. Although he doesn’t break new conceptual ground (this was not his goal), Dahlen’s new book makes the case for capitalism so well that it deserves a prominent place in the personal library of anyone committed to defending free markets or advancing their knowledge of sound economics. Regular readers of The Objective Standard may already be familiar with Dahlen’s writing. Two chapters of this, his first full-length book, previously appeared as stand-alone essays in this publication. 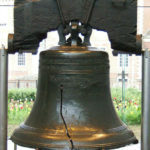 A modified version of the book’s chapter 1, titled “The Rise of American Big Government: A Brief History of How We Got Here,” appeared in the Fall 2009 issue of TOS. And part of chapter 5, titled “The British Industrial Revolution: A Tribute to Freedom and Human Potential,” appeared in the Fall 2010 issue. Ending Big Government is addressed to those who are concerned about the growing intrusion of government into the economy but who want to know more and thus improve their ability to defend free markets and capitalism. Since America’s beginning, the author argues, its predominantly capitalist system has been undermined by the constant expansion of government controls. 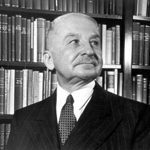 The foundering economy we find ourselves in today is not, as the left contends, the result of unbridled capitalism but of growing statism—the intrusion of the government into what was once a mostly free system. The result is not capitalism but a “mixed economy”—a mutation that still permits considerable economic freedom but that is being disfigured by government intervention in the economy, which throttles and ultimately thwarts economic progress. The only rational alternative to this ruinous condition, Dahlen argues, is laissez-faire capitalism, implemented in every sector of the economy, and the elimination of economic controls at every level of government. As he states in the introduction: “This book will show that capitalism is moral and practical while also showing that statism is immoral and impractical. Toward that end, this book systematically contrasts the history, economics, and the underlying philosophy of each system.” Dahlen makes good on this promise, and the result is a book that is not only interesting and enjoyable but also of lasting value as a reference work. Structurally, Ending Big Government is divided into three main parts. Part 1, “Intellectual Foundations,” covers the philosophic underpinnings of each system, capitalism and statism. Chapter 2, “The Intellectual Foundation of Capitalism,” lays out the basic justification for capitalism as the proper moral social system. Here Dahlen explains that capitalism is almost always defended on erroneous grounds (e.g., religious or utilitarian) and contends that capitalism is properly justified only by a morality of rational self-interest. Chapter 3 presents the “Intellectual Foundations of Statism,” which Dahlen identifies as “the principle or policy of concentrating extensive economic or political controls in the state.” As Dahlen sees it, two competing views of man and morality have resulted in two competing views of government. Whereas capitalism is derived from reason, egoism, and individualism, statism (in any form) springs from irrationalism, altruism, and collectivism. Dahlen lays out the main points of contrast between the two basic systems, with just enough background to give the reader a solid foundation. For example, whereas the case for capitalism is derived from the thought of philosophers such as Aristotle, John Locke, and Ayn Rand, the case for statism, in its various forms, comes from their intellectual opposites: Plato, Immanuel Kant, and Georg F. W. Hegel. Dahlen wisely includes only the essential, most influential philosophers so as not to overwhelm the reader. He then follows this same orderly structure in part 2, “History,” which surveys the evolution of the two political systems through many centuries. (In my opinion, part 2 is Dahlen’s best writing, and his book is well worth reading for this section alone.) Chapter 4, “The Roots of Capitalism and Statism in the West,” is a sweeping review, starting with early civilization and ending in the present day, of the battle between the two competing views of man laid out in part 1: man as a rational sovereign individual, who requires freedom and capitalism, versus man as a helpless serf who must obey the tribe or state. This struggle culminates in the Enlightenment—the temporary triumph of science, reason, and individualism—which produced the first real economic science and introduced the concept of capitalism as a social system. In chapter 5, “The Historic Achievements of Capitalism,” Dahlen catalogs the unprecedented progress achieved under capitalism, giving special attention to its development in Britain and America. This story of success, which Dahlen tells quite well, is then followed by a tale of failure: Chapter 6, “The Tyranny of Statism,” details the destruction inflicted by statist government in its various forms—monarchy, theocracy, socialism (including communism), and fascism. Of particular importance here is the adverse effect of statist controls imposed on a capitalist system, resulting in the mixed economy that prevails in most countries today. This is important because, as Dahlen points out, capitalism gets most of the blame for today’s economic failures, even though it is the statist component of the mixed economy that is really at fault. So long as Americans condemn self-interest, we have no moral grounds to proclaim our right to our own property and our right to pursue our own happiness. So long as Americans praise sacrifice, we have no moral grounds to resist power-hungry politicians who demand that we sacrifice for the “common good.” And so long as Americans damn businessmen for the sin of making money, we have no moral grounds to oppose anti-capitalist intellectuals who call for government to shackle businessmen with more taxes, more controls, and more regulations, policies that ultimately hurt us all. That’s well said, and it begs for a clear call to action. What, then, is the way to start the revolution? In short, Dahlen answers, we need to read, write, study, and convince others of the moral and practical case for capitalism. Here I must register a minor criticism of the book, for two reasons. First, this claim stands in contrast to the promise implicit in the title of the book, Ending Big Government. The title implies that the book offers a blueprint of sorts for shrinking government to its proper scope and size. That title no doubt has strong marketing appeal, but, as Dahlen acknowledges in the passage above, the book is not really about ending big government. Rather, it’s about the moral and practical case for capitalism. More importantly, I’m not criticizing Dahlen for not providing specific recommendations for transitioning to capitalism, as that was not his purpose in this book. But I disagree that it’s too early for advocates of properly limited government to make specific recommendations about how to shrink government to its proper size. In the pages of this journal, economist Richard M. Salsman has put forth a plan for ending the Federal Reserve (see “The End of Central Banking,” parts 1 and 2 in TOS Spring 2013 and Summer 2013, respectively). And before suspending his 2016 campaign, Republican presidential candidate Ted Cruz set forth proposals not only for eliminating the IRS but also the Departments of Education, Energy, Commerce, and several other illegitimate aspects of government. Perhaps Dahlen will address specific steps toward ending big government in a future book. That frustration aside, let’s return to this book’s virtues. The main cash value of Ending Big Government is that its clarity, logical organization, and extensive footnoting make it extremely user friendly for anyone interested in the study of free markets and capitalism. If you are a relative beginner, it’s a great survey of the field. If you want more advanced study, the book provides a nice framework and numerous references to assist in a detailed inquiry. For example, say you are a busy college student in a civics or government class, discussing a current topic such as “economic inequality.” What are the facts about the distribution of wealth in our economy? Is this distribution “fair”? What are the standards of fairness used by both sides of this argument? Which standard makes most sense to you? Using the online (Kindle) version of Dahlen’s book, you can search “inequality” and come up with eleven references that identify the key questions and answers, as well as a number of footnotes directing you to more sources. You’ll be up to speed quickly on this hot topic. Or say you hear someone derogate “Keynesian economics.” You remember from college that Keynes talked about “aggregate demand” and something about “equilibrium” but never thought there was anything wrong with that—it was just standard economic science, you thought. Just query “Keynes” or “Keynesian” on your Kindle search function, and you’ll be guided to Dahlen’s discussion of Keynesian economics, how it encourages the growth of government, its potential for economic destruction, and some helpful footnote references. You’ll be better prepared for your next political discussion. Or suppose you are studying philosophy and want to know about the influence (if any) of the Scottish philosopher David Hume on the ideas underlying the founding of our Republic. Just query “Hume,” and you get a terse explanation of the role Hume played in promoting ideas that eventually began to undermine capitalism. I could give many more examples, but instead I’ll just say that Ending Big Government is such a good reference book that I bought both the paperback and the online versions. The paperback sits on my desk so I can make handwritten notes, and the online version sits on my computer so I can search various topics in support of my own research. If you want to advocate and defend capitalism on moral and practical grounds, buy this book, read it, and keep it as a handy reference. As for me, the next time a friend asks for good “starter” books on economics, I’ll still recommend Hazlitt and Rand, but I’ll also add a third reference: Ending Big Government by Michael Dahlen. 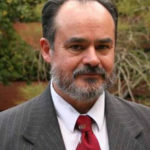 Jim Brown holds an MBA from Harvard Business School and is the CEO of the Ayn Rand Institute in Irvine, CA.